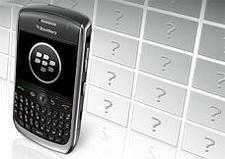 The Blackberry Store took its first steps into the real world last week but the general public were none the wiser and all the people that were in the know could do was sign up and register their details. However, when the clock struck midnight last night (or is that this morning?) Blackberry’s app store went live – the apps are yours for the taking… for a price of course. The ‘surprisingly smooth’ comment referrs to its ability to work nicely over a GPRS signal and the words ‘user’ and ‘friendly’ were used in relation to a comparison with the Android Marketplace.